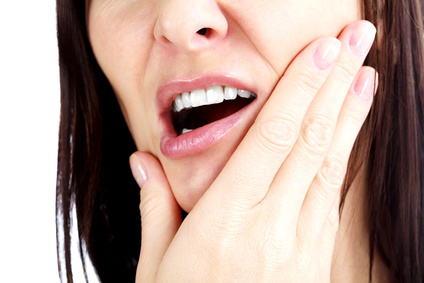 The term Temporomandibular Disorders (TMD) refers to a group of conditions affecting the temporomandibular joints (TMJ), the joints located on both sides of the face in front of the ears, connecting the jaw to the skull. The joints are fairly complicated and allow for all the various movements of the jaw. Because of the complex nature of these joints, disorders can arise in a number of ways. The number, type and severity of symptoms ranges from person to person, and can change over time. A number of TMJ patients have been visiting our acupuncture clinic following their TMJ specialist’s referral. I have observed severe asymmetrical upper cervical tension in almost every patient with TMJ pain. In many cases we monitor the patient’s heart rate variability (HRV) during acupuncture treatment. An undesirable increase of the very low frequency band (which is mainly sympathetically mediated and thought to be linked to anxiety and ruminate thought) of HRV is observed when patients are in sleep. Abnormal excitation of the sympathetic system can be considered to lead to prolonged tension in the jaw and neck muscles. Besides treating local neck and jaw tension, TMJ treatment should be focused on stress management to improve sleep quality. Systemic and SES acupuncture and HRV biofeedback technique is utilized to restore the balance of the autonomic nervous system and to help create more restful sleep patterns. For more information on how acupuncture can help your TMJ pain or TMD, contact the Pacific Wellness Institute in Toronto. Their experienced acupuncturists can help you determine the best course of acupuncture treatment.